Helen Dunmore never fails to disappoint. She has a way with words and makes you believe you are inside the narrative and able to experience the sensations she evokes. I can always feel, taste, smell and hear a Dunmore novel. 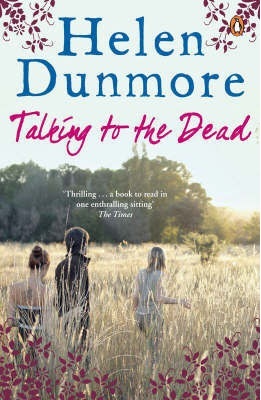 Talking to the Dead is filled with tension and an awareness that something unpleasant will be revealed. The story unfolds through the filter of Nina, the younger of two sisters, who relates in the present tense, adding to the immediacy of the narrative. Although the perspective is Nina’s, she doesn’t try to pull the wool over the eyes of the reader, but presents herself in a way that is not entirely sympathetic. She is drawn deeper into the lives of her sister, Isabel, who has recently had a traumatic birth experience, and her husband Richard; the proximity between the two sisters leads to the awakening of long suppressed memories from the past. Penelope Lively has long been one of my favourite contemporary writers. Once more she plays with the idea of memory in a novel that is not linear, but jumps around in just the same way that we remember the past. Family Album is the story of a large middle class family and is told through the eyes of the parents, and the six children, who are all adults when the novel starts. What appears to be an ideal existence in a large and rambling home, Allersmead, actually turns out to be anything but. There is a skeleton in the family cupboard, and it gradually becomes apparent that it is known and acknowledged, although never explicitly acknowledged by the parents. It’s often stated that a family that eats together, stays together. But this is not the case and the novel ends with the siblings widely scattered and keeping in touch by email. Thus a tale that starts slowly and that expands gradually, is reduced to the shortened messages conveyed through hyperspace. Penelope Lively again proves that scratching the surface reveals that things are never quite what they seem, and that we don’t all take away the same impressions from shared experiences.